玫瑰果子精華, 橄欖油、海草, 及70多種精油混合而成, 使用時, 提供皮膚一個全面的保護。玫瑰果子擁有卓越能力, 使皮膚充滿活力, 有效修護暴晒後的露傷害、傷痕、淡化色斑及印。海草萃取物是提供維生素和營養素是最天然, 最完全的來源。精油是植物的"命脈", 給皮膚生命力及修護。每次使用時, 都得到以上的呵護. 早晚使用, 將適量的潔面液及水於面上, 輕輕按摩, 再用溫水洗淨, 用後再拍上Q10輔酶緊膚水. 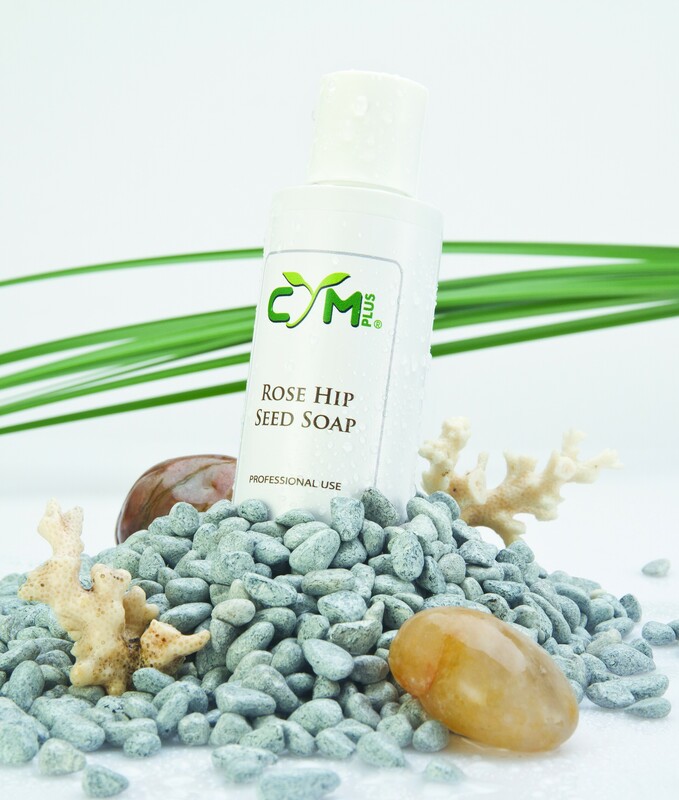 Rose Hip Seed Soap, A gentle but powerful cleanser enriched with a combination of rose hip seed, olive oil, seaweed, and essential oils provide a complete spectrum of skin nourishment and protection every time you cleanse. Leaves your skin glowing and renewed. 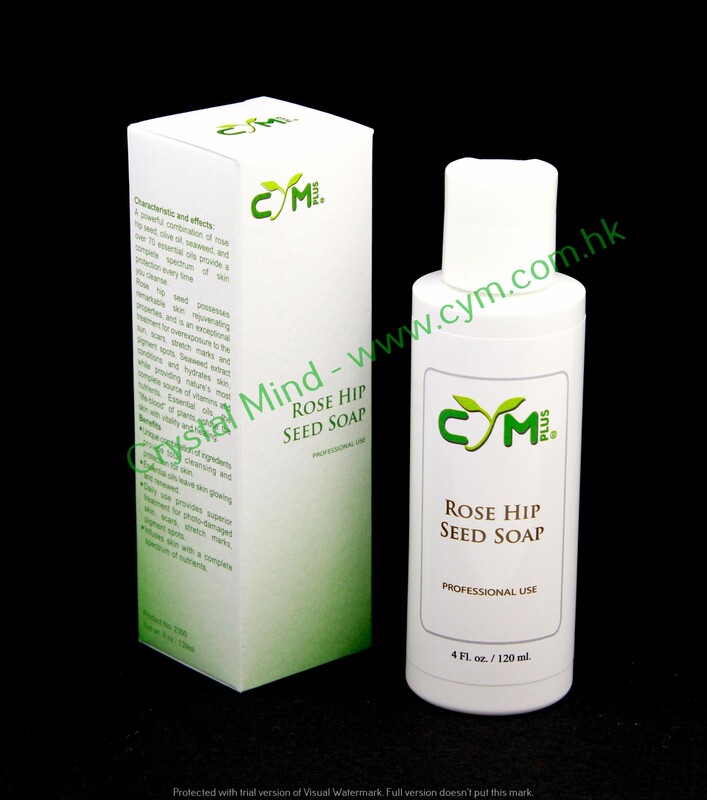 A natural vegetable oil based cleanser enriched with Rose Hip Seed Oil and essential oils. A powerful combination of rose hip seed, olive oil, seaweed, and over 70 essential oils provide a complete spectrum of skin protection every time you cleanse. 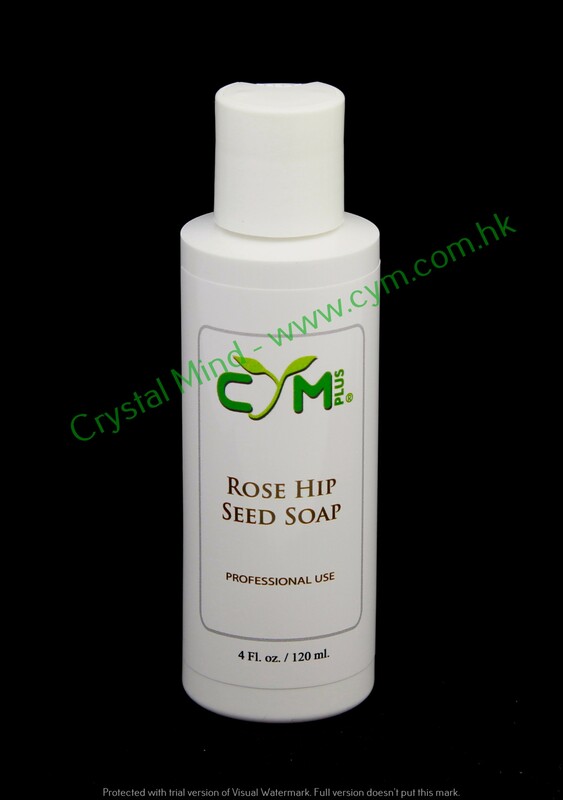 Rose hip seed possesses remarkable skin rejuvenating properties, and is an exceptional treatment for overexposure to the sun, scars, stretch marks and pigment spots. Seaweed extract conditions and hydrates skin, while providing nature’s most complete source of vitamins and nutrients. Essential oils, the “life-blood” of plants, infuse the skin with vitality and healing. It's a total approach to skin care every time you use it! Ingredients: Purified Water, Olive Oil Castile, Vegetable Glycerin, Rose Hip Seed Oil, Oil of Kumquat, Seaweed Extracts.